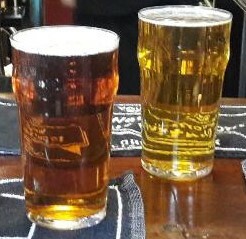 A Pint Or Two – Page 8 – Occasional musings on pubs, beer and other stuff. I popped over to Reading on the bus to check out the newly opened BrewDog yesterday. It was lightly snowing with heavier stuff predicted later on so I didn’t intend to hang around too long, It’s what you would expect, a little larger than most BrewDog bars and pretty busy on its second day of… Continue reading How Much?